Dr. Paul Zia is Distinguished University Professor Emeritus of Civil Engineering and Alumni Distinguished Graduate Professor Emeritus. 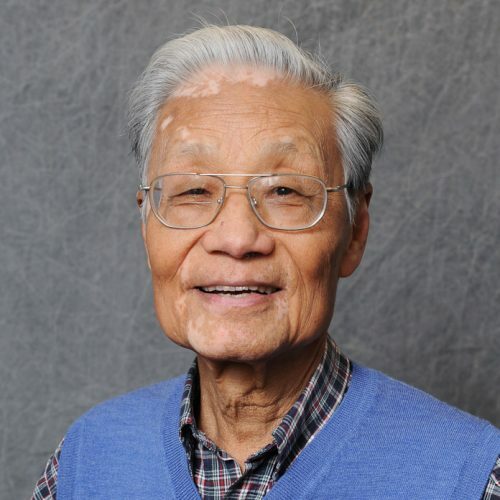 For over 50 years he has been engaged in teaching, research and consulting in many areas of concrete materials, reinforced and prestressed concrete structures, and construction. He has advised more than 60 masters and doctoral students. He has conducted sponsored researches on many aspects of prestressed and reinforced concrete, including torsion and shear, bond and development length, loss of prestress, applications of high performance and high strength concrete, self-consolidating concrete, jointless bridge deck, and cracking in large prestressed concrete girders. His studies also included fatigue strength of cracked prestressed concrete girders, assessment of high performance concrete bridges, development of a non-destructive test method for measuring air permeability of concrete, the use of self-consolidating concrete in highway structures, and application of corrosion-resistant high-strength MMFX steel for concrete structures, and structural applications of new proprietary materials called Grancrete and Elimix Admixture. Dr. Zia is a registered professional engineer in North Carolina and an honorary member of both American Concrete Institute (ACI) and American Society of Civil Engineers (ASCE), and a Fellow of Precast/Prestressed Concrete Institute (PCI). He has served as chairman and member of many technical and administrative committees of these organizations, including a term as President of ACI in 1989-1990. For his achievements in teaching, research, and professional activities, Dr. Zia has received numerous honors and awards including election to the prestigious National Academy of Engineering (1983); NCSU Alcoa Foundation Distinguished Engineering Research Award (1978-80); University of Florida Distinguished Alumnus Award (1983); ASEE Lamme Medal (1986); and NCSU Alexander Quarles Holladay Medal of Excellence (1993), the highest honor bestowed on a faculty member by the NCSU Board of Trustees. In 1999, the National Park Service presented him the Citizen’s Award for Exceptional Service in recognition of his role as an adviser and consultant for the relocation of Cape Hatteras Lighthouse. In 2004, he was honored by PCI with the Distinguished Educator of the Year Award. Dr. Zia is interested in behavior and design of reinforced and prestressed concrete structures, high-performance concrete, high-strength steel, bridge engineering. Bobko, C. P., Edwards, A. J., Seracino, R., & Zia, P. (2015), Journal of Performance of Constructed Facilities, 29(6). Storm, T. K., Rizkalla, S. H., & Zia, P. Z. (2013), PCI Journal, 96–111. Klein, G., Rizkalla, S., Zia, P., & Lucier, G. (2012), PCI Journal, 182–186. Munikrishna, A., Hosny, A., Rizkalla, S., & Zia, P. (2010), ACI Structural Journal, 108(1), 34–41. Sumpter, M. S., Rizkalla, S. H., & Zia, P. (2009), ACI Structural Journal, 106(2), 171–177. Seliem, H. M., Hosny, A., Rizkalla, S., Zia, P., Briggs, M., Miller, S., … Jirsa, J. O. (2009), ACI Structural Journal, 106(4), 530–539. Rizkalla, S., Zia, P., Mirmiran, A., Russell, H. G., & Mast, R. (2009), Transportation Research Record, (2131), 59–67. Logan, A., Choi, W., Mirmiran, A., Rizkalla, S., & Zia, P. (2009), ACI Materials Journal, 106(5), 413–418. This proposal is developed in response to research idea 0403 on the NCDOT list of research ideas for AY 2010. The models currently used by NCDOT to calculate long-term prestress losses, camber and deflection of prestressed concrete girders, box beams, and cored slabs may be out of date. The objective of the proposed project is to evaluate the effectiveness of the current NCDOT methodologies to predict prestress losses, camber and deflection of prestressed concrete members in light of the recent development of using longer spans of bulb-tee girders and box beams as well as higher concrete strengths in the range of 8000 psi to 12,000 psi. The different tasks considered in this project include an evaluation of the current NCDOT models and other existing models including AASHTO LRFD Specifications. One of the major tasks of the project is to establish an extensive database of measured cambers and deflections of prestressed bridge girders used in recent and future projects in collaboration with NCDOT personnel in order to evaluate and calibrate the different models including conspan program. Based on the findings of the evaluation, a refined and more reliable model will be recommended for implementation by NCDOT. The project will provide the Structure Design Unit with a reliable and calibrated model for the design of prestressed concrete members and for predictions of deflections during and after construction. The duration of the proposed project is one year. The objective of this research is to develop recommended revisions to the AASHTO LRFD Bridge Design Specifications to extend the applicability of the flexural and compression design provisions to concrete up to 18 ksi. The research results will allow full utilization of the material characteristics and greater use of high-strength concrete, since the current LRFD limits the design strength of the ultimate compressive strength of concrete to 69 MPa (10 ksi). The results will have great economical advantages by allowing bridge design engineers to design AASHTO girders more effectively in terms of the thickness of the web and larger beam spacing.